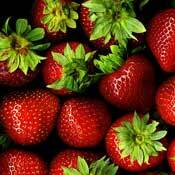 Strawberries are a good source of Vitamin C. But, like any other living organisms, strawberry plants are not uniform. Each variety will produce strawberries with differing levels of Vitamin C based upon that variety’s genetic makeup. In fact, there are several different factors that will affect the vitamin composition that strawberry plants will develop into their berries. The main two factors (apart from the variety of the strawberry plants) are temperature and light. 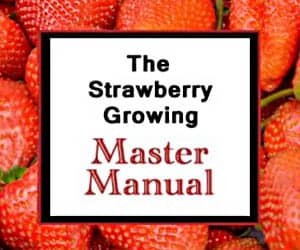 In general, the optimal conditions for growing strawberries rich in Vitamin C are the same conditions that will result in the production of large yields of well-flavored strawberries. The best-tasting strawberries (those with the highest flavor profile) are grown when the days are sunny and the nights are cool. On sunny days, the Vitamin C production generally parallels the sugar production. So, if strawberry plants are producing sweet, tasty strawberries, it is almost certain that those same strawberries are high in Vitamin C.
The Vitamin C is retained best during cool nights. The chilly temperature causes the strawberry plants to slow their rate of respiration. Then, when the longer days begin again, the exposure to sunlight increases the amount of Vitamin C produced and stored in the strawberries. Additionally, Vitamin C tends to be slightly increased toward the end of the strawberry season. So, while Vitamin C is readily available in strawberries, you can maximize the health benefits of eating them by using this website to help you get started on your way to successfully growing strawberries!